Retiring Next Month, Berg Considers: “What Has it All Meant?” | The Gettysburgian. Temma Berg, an English Professor of 33 years, will be retiring from Gettysburg College this May. 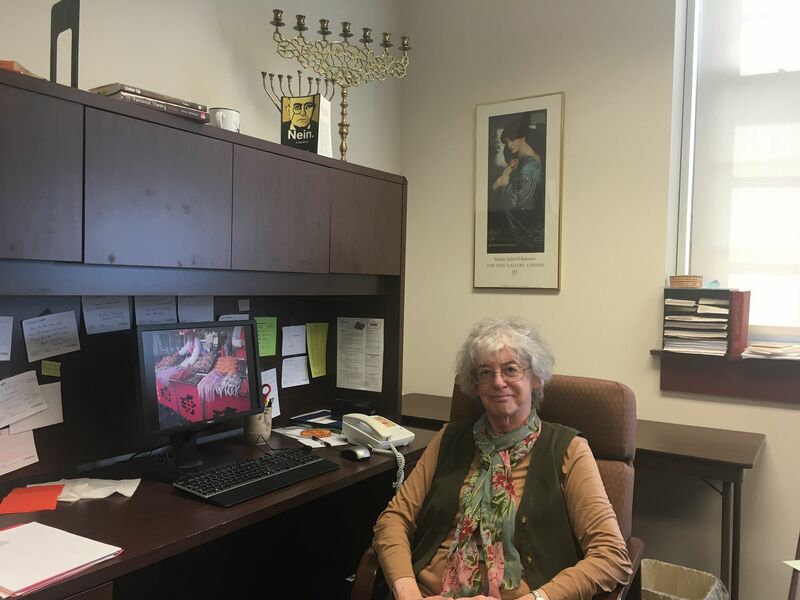 While an English Professor, Berg is heavily involved in Women, Gender, and Sexuality Studies program, and is known for teaching courses in which the two studies intersect. One of her main foci of intrigue is currently the Bronte sisters, Charlotte, Emily, and the lesser known Anne, and the interconnectedness of their stories. “Well they are sisters, and I’m a sister,” joked Berg as she explained the interest in the sister dynamic of the three authors. She also likes to venture into the film genre and how that affects the way a novel is portrayed, examined, and remembered. More specifically, why certain novels, like Jane Eyre and Wuthering Heights, have so very many film adaptations, but other novels may not even see more than one adaptation. For example, Berg fears that ease of use of the internet to find summaries of texts will set up expectations. She is of the opinion that one should never set expectations when entering the literary landscape. During her time at Gettysburg, Berg has, in fashion with an English professor, written a lot. Berg has written articles on themes from women writers to reader-response criticism for publications such as “Papers in Language and Literature,” “Literature, Interpretation, Theory,” and “Eightenth-Century Women,” just to name a few. In 2013, her edited collection “Women, Gender, and Print Culture in Eighteenth-Century Britain: Essays in Memory of Betty Rizzo,” was published. After retirement, Berg intends to continuing her writing and research. She wishes to develop a life-long learning program in Gettysburg, one in which everyone is a teacher, and everyone is a student. “I hope people will think of their own learning as lifelong learning. They’re learning to be human,” she said.